In the evening we had some of our friends come over for a dessert party. L&I made ice-cream and everyone else brought stuff to share. 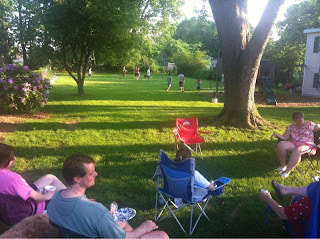 The yard was full and kids everyplace :-) tomorrow is a school night so people left kind of early. We got the party and boys cleaned up and off to bed in good time. How lucky are we to have such great friends. 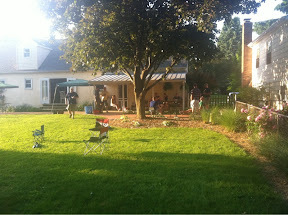 20110514 - J's 8th Bday Party!